Staff Nurse Susan ‘Susie’ Greaves, nurse on left, with the staff of No 22 Ambulance Train, c1917-1918. 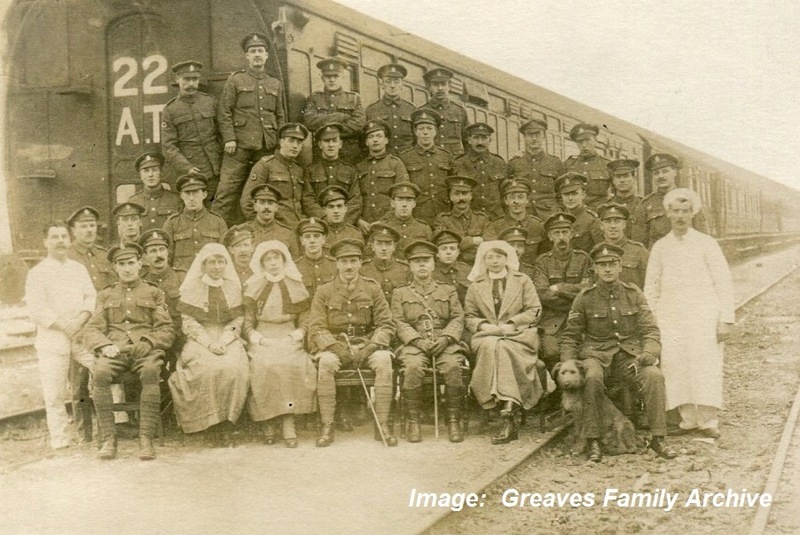 From September 1917 until June 1918 Staff Nurse Susan ‘Susie’ Greaves of the Queen Alexandra’s Imperial Military Nursing Service Reserve worked on No 22 Ambulance Train on the Western Front and in Italy. Patient transport in wartime – motor ambulances, trains and ships – are protected under international law if properly marked. However, as train tracks were important military infrastructure and could be targeted by the enemy, working on an ambulance train could be both dangerous and uncomfortable. Ambulance trains were a chain in the link of medical evacuation. Regimental medical officers patched up minor wounds and sent their patients back into battle. The more seriously wounded were given first aid then taken by motor ambulance to a casualty clearing station – a field hospital close behind the lines. These field hospitals were usually set up close to a railway line. When patients had been given emergency treatment and stabilised they were loaded into an ambulance train and transferred to a base hospital. 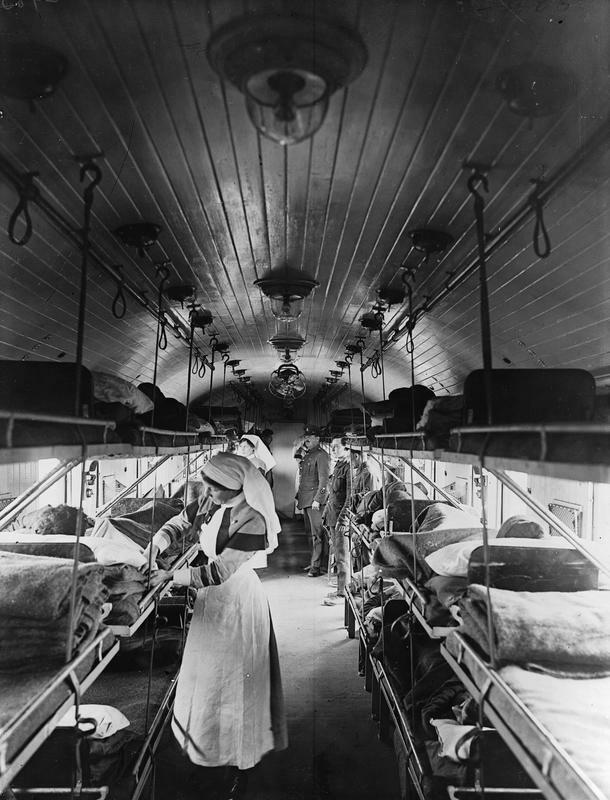 Interior of a ward on a British ambulance train showing the narrow aisle and triple bunks. Click on image to enlarge.